We finally got to see some of the Chicago Air and Water show this year, in mid-August. It was the 50th anniversary and it was quite a spectacle! The beach was packed–and I do mean PACKED!–with spectators. We walked for miles! Anyway, it was a neat show, even though we cut out a little early to make it to a friend’s party–only to be too pooped and sun sick to go to the party. These “series” photos that Dale put together can only be appreciated by clicking on the photo to make it bigger. So plane nerds will want to do that! If you didn’t know you can almost always click on photos on this blog to make them bigger. Anyway, this is the AeroShell Aerobatic Team. Very fun show! These pilots were amazing! 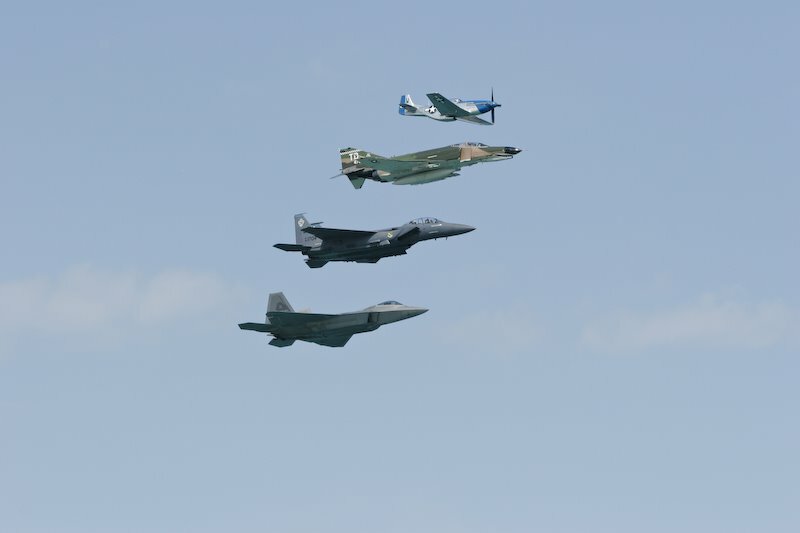 These are four of the most famous fighter planes used in combat, I guess. We think they are as follows: P-51 Mustang, F-4 Phantom, F-15, F-22 Raptor. We are not experts so whatevs. 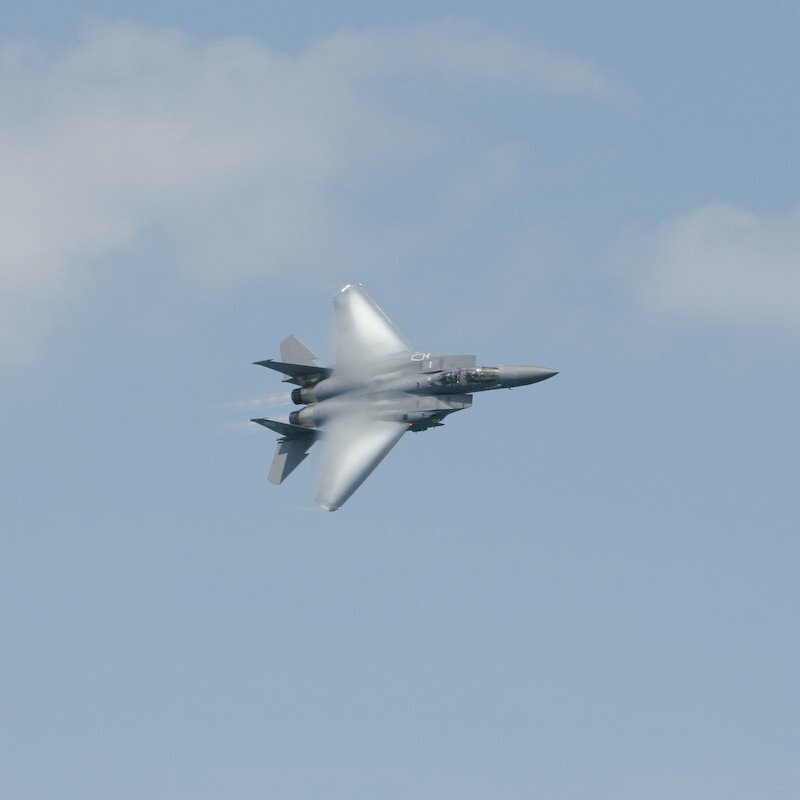 Here is a close-up of the F-15 in the midst of a hard turn. Here’s a quick video of the somewhat ominous B-22 Stealth Bomber in action! F-22 Raptor flying over the beach (and the boats in Lake Michigan). And the Blue Angels closed the show but we missed most of that in our haste to get to the train. Dale took this photo from his office window. 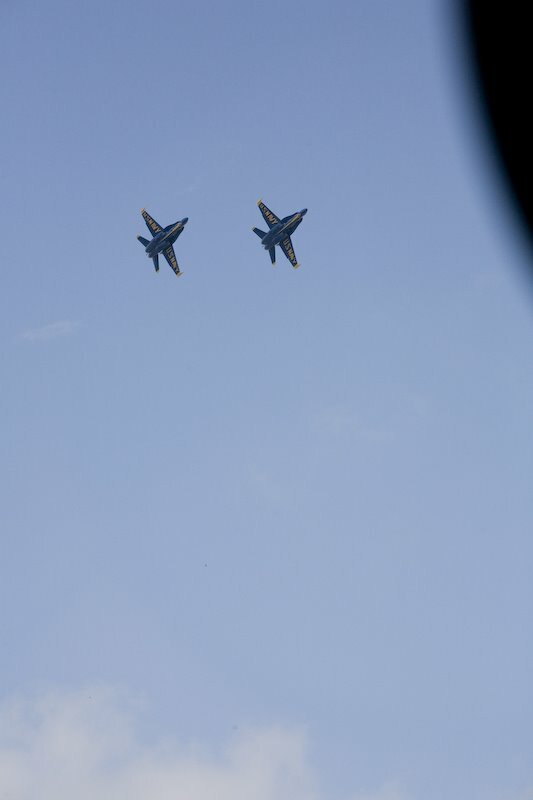 We were both treated to a Blue Angels rehearsal show in the two days leading up to the main event. If you click on this photo you can see the logos on the plane.